High cholesterol often is caused by unhealthy lifestyle choices like a diet high in saturated fats and lack of adequate physical activity. Factors such as obesity, smoking, excessive drinking, aging (arteries tend to narrow with age), genetics, and certain underlying conditions such as diabetes, high blood pressure, and kidney or liver disease also increase the risk of developing this problem. Cholesterol is a fatty substance present in your blood that is needed for building and maintaining cell membranes, converting sunshine to vitamin D, and other important functions. However, a high level of cholesterol, also called hypercholesterolemia, is unhealthy and can lead to serious and even fatal health problems. Cholesterol tends to accumulate along artery walls and increases your risk of developing heart disease. Mostly, a test called lipoprotein profile is used to test the cholesterol levels in terms of total cholesterol (the sum of HDL, LDL and VLDL), HDL, LDL and triglycerides. Of these, HDL, or high density lipoprotein, is considered good because it carries cholesterol to the liver where it can be broken down and reprocessed. 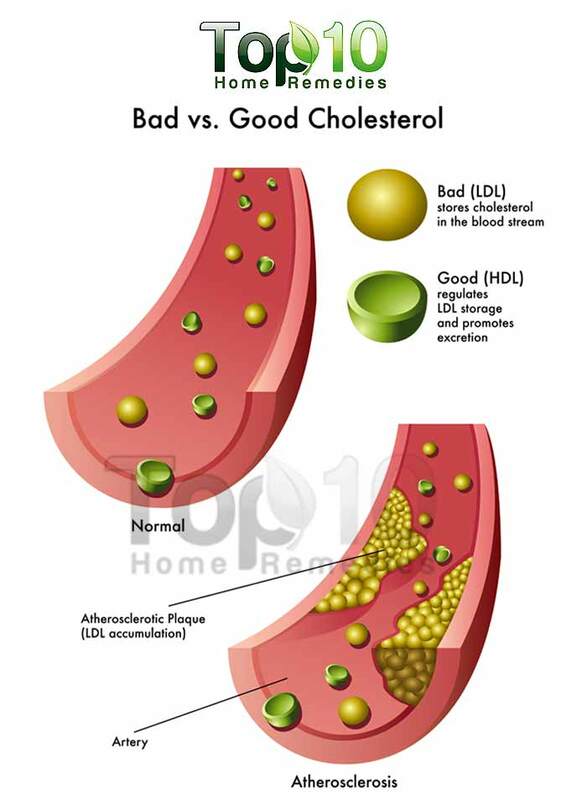 Although it is good for that reason, your body needs a certain amount of HDL to perform its function fully. Those with low levels of HDL are considered at higher risk of developing heart disease. LDL, or low density lipoprotein, on the other hand, is considered bad. It is the cholesterol that tends to build up along the inner walls of the arteries and over time causes narrowing of these blood vessels. Here are the top 10 home remedies for high cholesterol. Research has shown that coriander helps lower the levels of total cholesterol, LDL (the ‘bad’ cholesterol), and triglycerides. Coriander seeds also have hypoglycemic effects and can be useful in diabetes management. Add two teaspoons of coriander seed powder to one cup of water. Boil the mixture and then strain it. Drink this once or twice a day. You can add milk, sugar, and cardamom to it and use it as a replacement for your regular tea. If you do not have coriander seed powder, then simply use coriander seeds or dry roast and grind them to make the powder. Red onions are beneficial in dealing with high cholesterol. 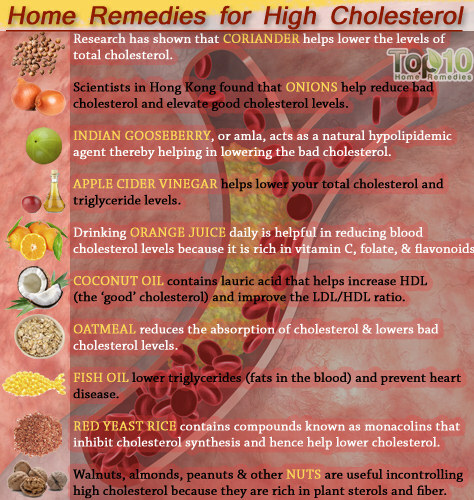 Scientists in Hong Kong found that they help reduce bad cholesterol and elevate good cholesterol levels. This, in turn, lowers the risk of developing heart disease. Mix one teaspoon each of onion juice and honey. Drink it once daily. Add one finely chopped onion and one-quarter teaspoon of pepper to one cup of buttermilk. Consume it on a regular basis. Also include onion, ginger, and garlic in your diet. 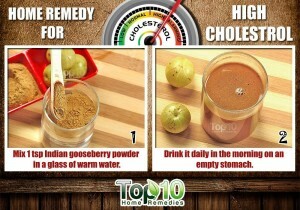 Indian gooseberry, or amla, acts as a natural hypolipidemic agent, which means that it promotes the reduction of lipid concentrations in the serum. A study published in the International Journal of Medical Research & Health Sciences revealed that this fruit has antihyperlipidemic, anti-atherogenic, and hypolipidemic effects. 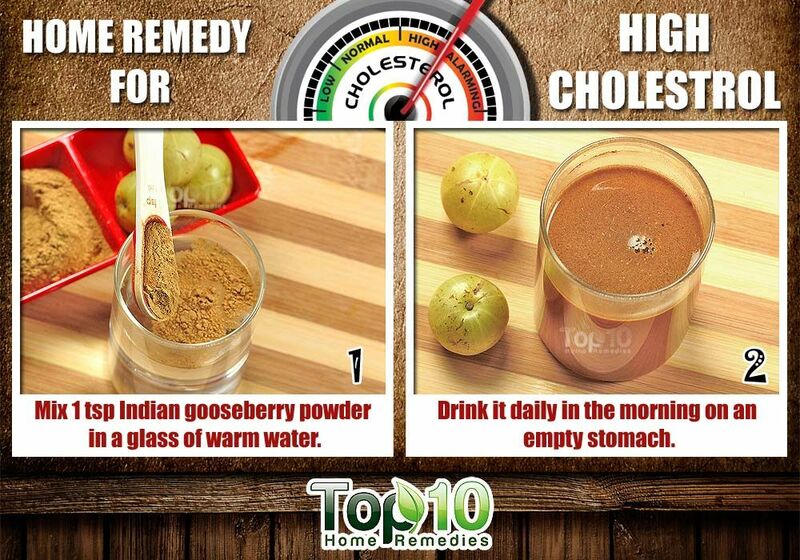 Mix one teaspoon of Indian gooseberry powder, or dried and powdered Indian gooseberries, in a glass of warm water. Drink it daily in the morning on an empty stomach. Apple cider vinegar helps lower your total cholesterol and triglyceride levels. In addition, it is a great home remedy for a number of ailments including acid reflux, high blood pressure, gout, upper respiratory infections, and others. Mix one teaspoon of organic apple cider vinegar in a glass of water. Drink this two or three times a day at least for a month. You can gradually increase the amount of apple cider vinegar to two tablespoons per glass. If you do not like the taste of apple cider vinegar, you may mix it with fresh orange juice, apple juice, grape juice, or other fruit juices. Drinking three cups of fresh orange juice daily can be a great help in reducing blood cholesterol levels naturally because it is rich in vitamin C, folate, and flavonoids. A study published in the American Journal of Clinical Nutrition found that drinking 750 mL of pure orange juice daily can increase HDL cholesterol and triglycerides, and decrease the LDL/HDL ratio in hypercholesterolemic patients. Orange juice fortified with sterols is even better. Studies have shown that about 3 grams of phytosterols a day can help lower total cholesterol by up to 11% and LDL by up to 15%. So, drink two glasses of plant sterol-fortified orange juice per day. Though counterintuitive, coconut oil is considered a beneficial home remedy for high cholesterol, even though it is a saturated fat. Coconut oil contains lauric acid that helps increase HDL (the ‘good’ cholesterol) and improve the LDL/HDL ratio. Add moderate amounts of organic coconut oil to your diet. You can have one to two tablespoons of this oil daily. Do not use refined or processed coconut oil. 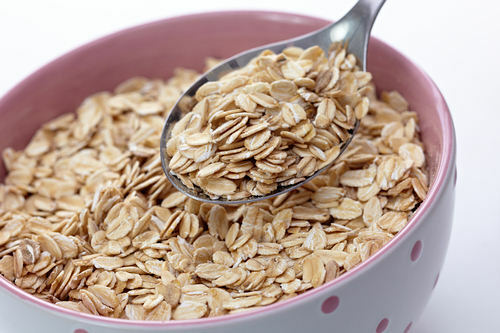 Enjoying a bowl of oatmeal is an easy yet effective way to reduce your cholesterol levels. 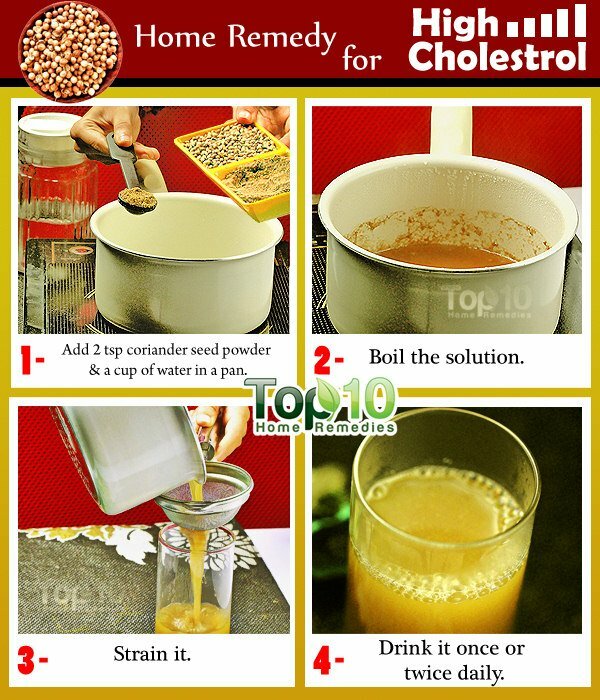 It is full of soluble fiber and reduces the absorption of cholesterol and lowers bad cholesterol levels. One and one-half cups of cooked oatmeal or one cup of oat bran contain approximately three grams of soluble fiber, beta-glucan. You can also add fruits and nuts such as apples, bananas, strawberries, and walnuts to your oatmeal for added health benefits. Fish oils and fatty fish such as mackerel, tuna, trout, herring, salmon, bluefish, sardines, and the like are packed with omega-3 fatty acids. They help lower triglycerides (fats in the blood) and prevent heart disease. 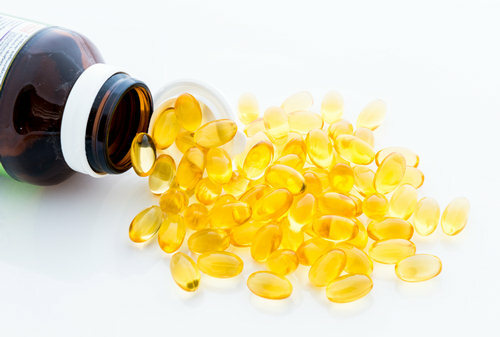 Consume about one to four grams of fish oil per day. If you have adopted a vegan or vegetarian diet, then include ground flaxseeds, which are also rich in omega-3 fatty acids, in your diet. 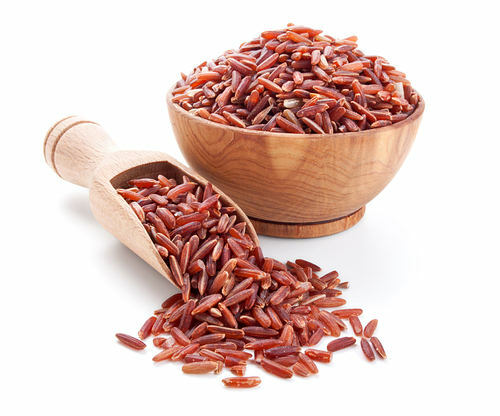 Red yeast rice contains compounds known as monacolins that inhibit cholesterol synthesis and hence help lower cholesterol. Simply put, it is rice fermented by red yeast (monascus purpureus). For thousands of years, it has been used in China for medicinal purposes. You can get red yeast rice tablets from pharmacies or health food stores. For high cholesterol, take 1200 to 2400 mg of the supplement once or twice daily. Studies have shown that this dietary supplement can decrease total and LDL (‘bad’) cholesterol levels. However, be cautious while taking these supplements as their proper dosage and long-term effects are still unclear. Besides, some red yeast rice products may contain lovastatin and other chemicals that may cause side effects. It is best to consult your doctor before you start taking them. Do not take these supplements during pregnancy, breastfeeding or when suffering from liver problems. Walnuts, almonds, peanuts, hazelnuts, pistachios, pecans, and other nuts and seeds are useful in controlling high cholesterol because they are rich in plant sterols and fiber. Walnuts, in particular, have been found to help lower total cholesterol and triglyceride levels. So, now you have a good reason to enjoy a handful (one and one-half ounces) of delicious roasted nuts regularly; but do not overdo it. Also, increase your consumption of whole grains and other high-fiber foods. Along with these home remedies, it is essential to make healthy diet and lifestyle choices. Eliminate trans fats from your diet; they increase your LDL (‘bad’ cholesterol) and decrease your HDL (‘good’ cholesterol). Plus, eat a diet high in vitamin C (100 to 200 mg per day) to help lower cholesterol. Thank you ver much for all home remedy.